Hino Motors Philippines (HMP), the exclusive distributor of Hino trucks and buses in the Philippines, marks its first full-service dealership in General Santos City with a ground-breaking ceremony. HMP is confident Hino General Santos will provide efficient trucking solutions to meet the growing logistics demand in the city. In addition to being the country’s Tuna Capital, General Santos is a transshipment hub in Mindanao. The city’s economy, which focuses on fishing and agri-business industries, ranks third in the entire Mindanao region. With continuously increasing inbound shipments of agriculture, vegetable, tuna and other fish products, the ports of General Santos also serve as a gateway for ASEAN countries and businesses, which in turn creates new opportunities for investment. Aside from growing its different business sectors mentioned, General Santos is developing The GenSan Airport Complex or Aerotropolis, which aims to improve tourism and logistics in the city. 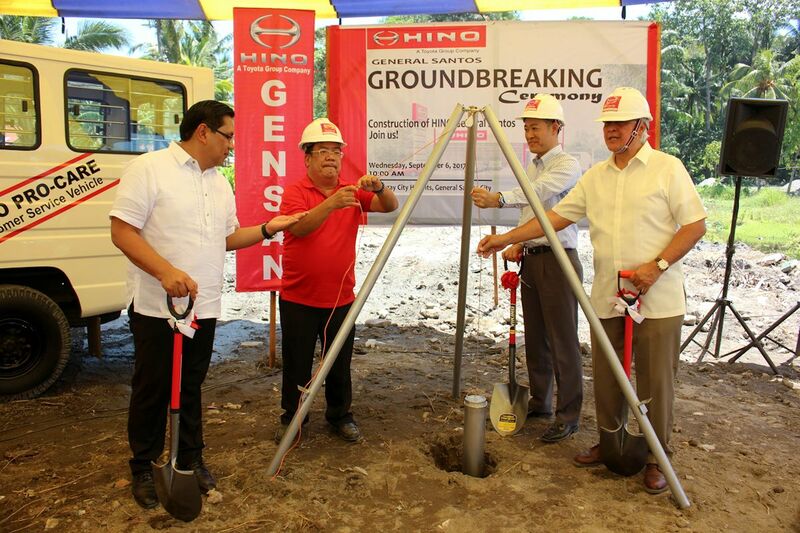 “Hino continues to strengthen its commitment as a total support provider by opening a new dealership here in General Santos. Hino understands the high demand for quality trucks and buses in General Santos, where the main business sectors are fishing and agri-business. Hino General Santos will serve as the new business partner to ensure smooth logistic operations and supply chain management systems,” HMP Chairman Mr. Vicente T. Mills, Jr. said.